ID card printers are great for employee and business safety. But ID card printers offer a whole lot more as well. All of Nisca ID card printers are not only capable of printing employee ID badges, they are also great for printing student & faculty ID cards, membership & loyalty cards, personalized gift cards, visitor ID badges and much more! 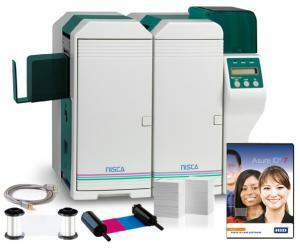 ID Security Online has a complete line of single- and double-sided Nisca ID card printers from all of the top manufacturers, from the simplest single-sided application, to bulk card printing and encoding options. The Magicard Enduro + ID card printer is a robust printer with single and dual sided printing capabilities for colorful, plastic cards. 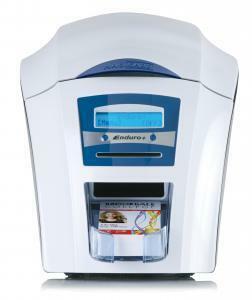 The Magicard Enduro+ dual-sided direct to card ID printer is ideal for your expanding business. These ID card printers are all available as field-installable options for your card printing needs. With upgradable options, this ID card printer is designed to accommodate your card printing needs. In other words, the Magicard Enduro + is future proof. At ID Security Online we understand the need for purchasing a secure photo ID system which will be reliable and durable in the long run. Our Evolis photo ID system includes a comprehensive support plan with unlimited telephone technical support and remote dial in assistance for the life of the system. We make sure that our clients get nothing but the best products and service. Our Evolis photo ID systems can be custom-tailored for your organizations specific requirements. Safety and security at construction sites has never been more important than today. Large and small construction sites have numerous subcontractors on the job site that do not know each other. Expensive equipment and critical supplies are brought in and out of the site on a daily basis. Keeping track of the comings and goings of both people and things are complex and require detail like never before. Job foremen are required to produce more, maintain safety and security and provide more reporting than ever. Ensuring photo ID visibility is a part of an important ID program, especially to high security facilities that require identification of any visitor. ID card accessories help display a credential in a variety of ways, with additional features for safety and added convenience. 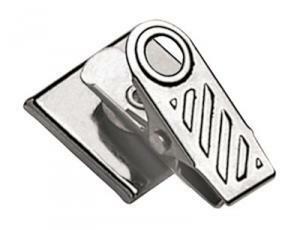 Badge clips, pins, and magnetic plates attach ID cards directly to the badge-holder's clothing. You may not always find supplies or information about your ID card printer. Chances are that these products have already been discontinued. As technology progresses, manufacturers often replace older ID card printers with new, updated models. Legacy models of PVC card printers were �what you see is what you get.� For instance, if you wanted a dual sided printer or a magnetic encoder in the printer for future use, the original purchase of the printer needed to encompass every function that would be needed throughout the lifetime of the printer. Additionally, most common complaint about Legacy printers is their inability to print. Can you blame certain industries for wanting to discontinue such products? Retransfer printing technology is superior to the previous generation direct-to-card print technology commonly used by certain Zebra, Fargo, Magicard and Datacard printers. 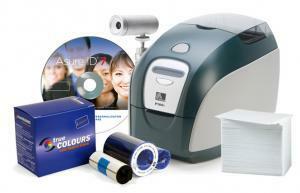 A few of the advantages of retransfer printing include superior image quality, true over-the-edge printing for a better looking ID card, more area to print on, the ability to print on uneven card surfaces, a wider variety of cards, and a more durable image that is built-in tamper proof with the use of retransfer film. An effective visitor badge system is a great security method to implement in your business to help employees and clients feel at ease. Schools, apartment complexes, hospitals and many other establishments have a visitor badge list, which requires individuals to sign in at a check-in location and receive a mandatory visitor badge. The visitor badge then needs to be worn at all times to signify to staff and other clients that an individual is authorized to be there. A visitor badge system does not just help create a feeling of additional security. When you find visitor badge options that appeal to you and your clients, you can also improve customer service, client relations and organize your business exponentially. In turn, this can help your company to be more successful on a whole. All single sided photo ID card printers are designed with the capability of printing on one side of the ID card. You can also use such printers to print on both sides by merely flipping your card over once a print has been already done on the other side. 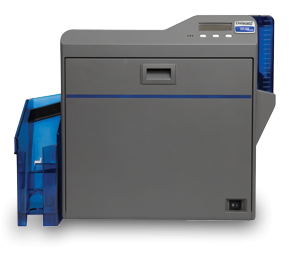 Single sided ID card printers are typically smaller in size and can be easily moved from one location to the next. At ID Security Online, our Single Sided Photo ID System includes an ID card printer, ID software, a Digital Camera, and all supplies necessary to get you started printing ID cards. 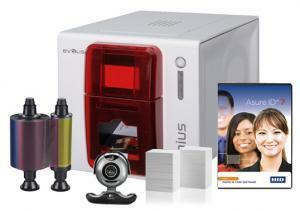 Below are some examples of the many products we sell that complete your single sided photo ID system. Are you looking to send a holiday greeting to a friend or a loved one? Is your wedding anniversary around the corner? Do you know anyone who is not well and could use some cheering up? Or are you looking to wish someone a happy birthday? Pre-printed cards provide a quick way to share holiday greetings or birthday wishes, but sometimes the message the card comes with isn't enough. When this is the case, you can deliver your own greeting with the aid of a PC printer and a graphic or word processor program. Printing on the inside of greeting cards requires the same printing process as that used on any heavy card stock. Once you've designed your greeting, simply set the printing parameters and print away, customizing your pre-printed greeting cards to your liking. Gift cards are increasingly popular, especially around holiday season. From fashion boutiques, supermarkets, Home Depot, Macy�s to hair salons, gift and loyalty cards are offered in many businesses. Most retailers and chain stores have been using and heavily promoting them for the past few years. In fact, the largest selling single item for over 80% of the top 100 retailers in the United States is their gift card. Gift cards are seen to be mutually beneficial to both customers and retailers. The notion of products being offered at a certain discount when using a gift card gives shoppers the incentive to provide their business to the store owner. That is if the customers are satisfied with their purchases. It is practically a win-win situation. Now is the time for you, the small to medium sized retailer and independently owned restaurateur to grasp the opportunity and start your own program. It will look and work exactly like the big guys program, except yours will be designed with a price that you can surely afford. 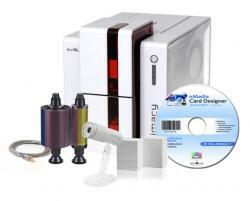 ID Security Online had a wide selection of ID card printers and supplies manufactured by Evolis. You can now get off to a good start with an Evolis ID card system. 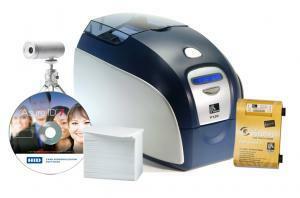 It has everything you need in one simple package to be up and printing cards in minutes. 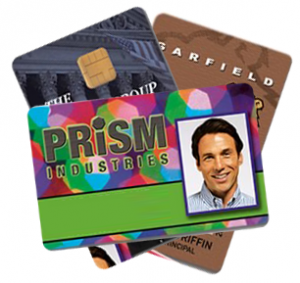 We also offer all of the cards and accessories you will need to complete your plastic card application including PVC and proximity magnetic cards, lanyards, slot punches and more. Consider this your one stop shop for Evolis equipment and supplies. Evolis products include both warranty and non-warranty repairs and lifetime phone support on all printers purchased through ID Security Online. Unlike many online retailers, purchasing your Evolis products from us guarantees the best possible support for the life of your printer. The Duplex Photo ID System comes with ID card software, a digital ID Camera, and all the ID card and badge supplies necessary to immediately start printing ID cards. Dual-sided ID card systems are similar to Single Sided ID Card Systems, except all dual-sided ID card systems will automatically print both sides of your ID Badge. All duplex photo ID systems include card printer warranties, options to upgrade to the latest encoding technologies, and more. Double-sided photo ID card printers were designed with the capability to print on one side of an ID card. Printing on both sides is achieved simultaneously by the printer. Furthermore, double-sided photo ID card printers are typically smaller in size and can be easily moved from one location to the next. What Are The Differences between Printheads and Ink Cartridges? A printhead is usually a moveable part of a printer that contains the printing element. The print head is the element of the printer that applies the image or text to your ID cards. Print heads may need to be replaced when print quality issues cannot be resolved by cleaning the print head. It has a nozzle in which inkjet ink is sprayed onto the paper to be printed on. Typically machines operate with a single printhead, but two can be found in some heavy-duty business models that require better production quality and speed. On average, a printhead has the ability to deliver up to 3,500 pages per month and a maximum total of 200,000 characters over the lifespan of the machine. There are many types of printers that use different printing technology, but no matter what machine you have, printheads are an absolute necessity.